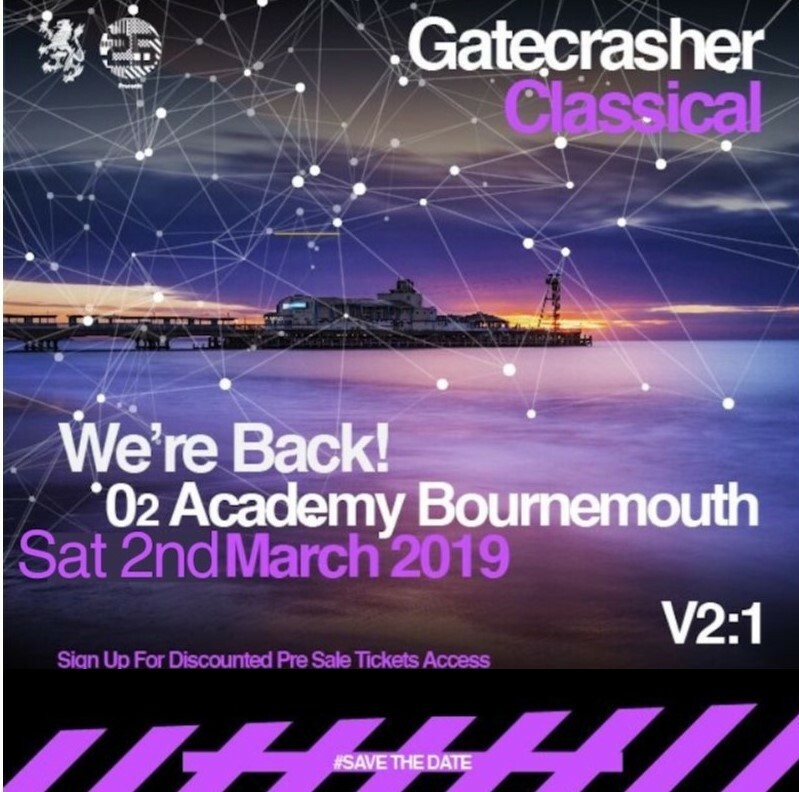 Following on from the success of their debut show in October at O2 Academy, Bournemouth, Gatecrasher are pleased to announce that they will be returning with their highly acclaimed Gatecrasher Classical event to the south coast venue for 2019 on Saturday 2nd March. Bigger, Better, Bass Business is on the agenda for the 2019 edition of the Classical event, with an Arena style production planned, which will see Gatecrasher bring their infamous Laser Unity show to Bournemouth featuring over 50 lasers, a full light show synonymous with the global brand plus a full club sound system, Special FX, CO2 & more, creating one unforgettable experience. PRE SALE TICKETS ON SALE 10AM SATURDAY 26TH JANUARY. GENERAL SALE STARTS 10AM MONDAY 28TH JANUARY.